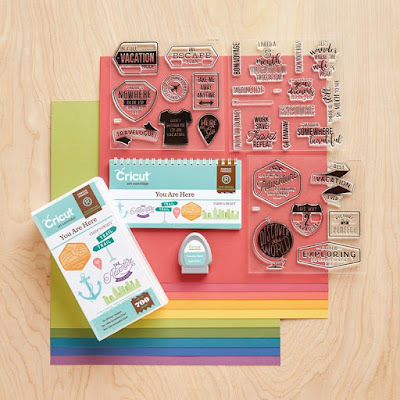 In addition to all of these images, this collection includes THREE D-size stamp sets! PLUS you will get one full package of Adventure Cardstock (20 sheets - 2 each of 10 colors) to get your started on your cricuit creations! This collection can be purchased with the digital cartridge for $79 or you can get the collection with the physical cartridge for $99. It's an awesome deal!